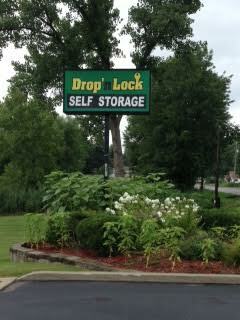 Home - Drop 'N Lock Storage Co. Inc.
Everything is Easy at Drop ‘N Lock! Drop ‘n Lock Storage Co.
has been Locally Owned and Operated by the Flood family since it was built in 1999. Centrally located, serving Dutchess, Putnam, Westchester, Fairfield and Litchfield Counties. 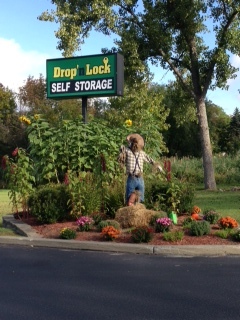 Drop ‘n Lock Storage is located on Route 22, between Pawling and Dover Plains, in Wingdale, NY. Just 1 Mile South of the Wingdale Train Station, on the MTA Harlem Valley Line. Coming from Putnam or Westchester Counties, we are 20 minutes North from the Intersection of I84 and 684. Sherman, CT. is just 10 minutes east of us. Whether you’re traveling, moving or just need extra space, Drop ‘n Lock Storage has the affordable storage space you need for your home or business. Low, month to month rental agreements, no long term contracts or commitments. We specialize in conventional self-storage and have over 550 storage units. We offer a broad range of unit sizes to suit your needs, all with eight-foot ceilings. Every Drop ‘n Lock Storage unit is equipped with an easy-to-operate overhead door and is on the ground level with drive-up convenience for easy loading/unloading. Your lock & your key. We’ll give you one if you don’t have one. All of our storage units feature fire resistant masonry and concrete construction. The entire self-storage facility is well lit, fenced, and has an on-site resident. An electronically secured gate ensures that only rental customers have access to the storage facility premises. We know who goes in & out and exactly what time and date. You have access to your storage unit any time you want - 24 hours, 7 days a week, 365 days a year. Specializing in Conventional Self -Storage. Low Month to Month Rental Agreements. 24 Hours / 7 Days a Week Access. Your own lock & key. Rent due on the 1st of each month. OFFICE IS OPEN 7 DAYS A WEEK! Mon - Fri – 9 am - 5pm. Sat – 9 am - 3 pm. Sun – 11 am -4 pm. Member of New York State Self Storage Association. 18 Years of Proudly Serving the Wingdale area. We are the Lowest in Cost and the Best in Value.